I’ve tried to start this blog post a couple of times now in various different ways, but I guess there is only one way to say it … I’M RELEASING A SECOND BOOK! WOW! That feels so good to get off my chest. It has been so incredibly hard keeping this from you over the past couple of months and I have been so excited that I thought I might burst. So I guess you want to know what makes this book different to the first? 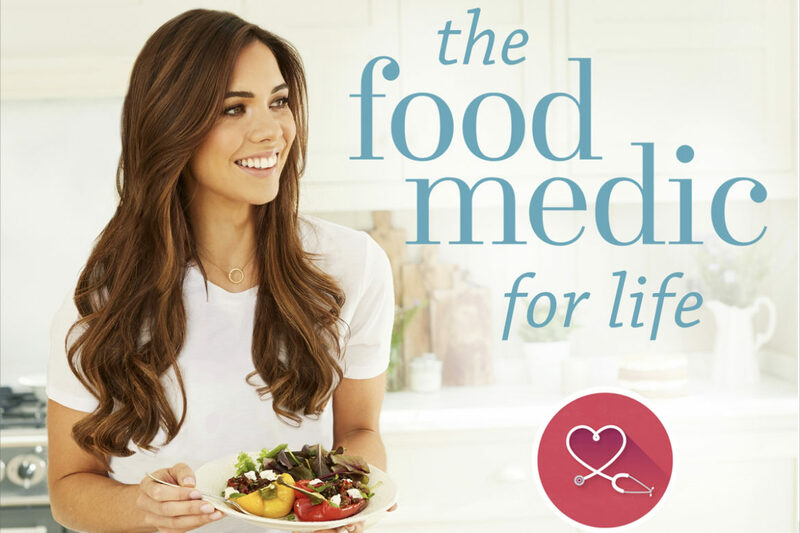 I am so proud of my first book ‘The Food Medic’. It was my introduction to the world, my platform to share what I wanted to say for so long. I poured everything into that book and I didn’t think I could possibly have much more to say. 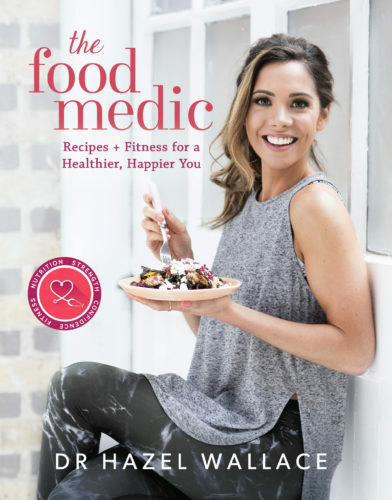 I told my story and shared my journey, I covered the basics of nutrition, I explained how food can impact our health – for the good, or the bad, I showed you how to find balance in your diet, I shared 70 of my favourite recipes, and I included a home workout guide too. It was essentially a total body bible to health and it was so well received by you guys. So much so that I can now call myself a best selling author with a 5 star rating and incredible reviews on Amazon – so thank you, thank you, THANK YOU to everyone who took the time to not only purchase the book, but leave a review. It makes all the difference and the feedback you have giving have helped shape my next book – so I know you’re going to love it. As a doctor, a personal trainer, and a huge foodie. Food is important to me on so many levels and I fully appreciate its value in terms of the energy it provides and the health benefits it offers us. However, food may be fuel – but its so much more! Food is; family, it’s friends, it’s comfort, it’s home, it’s tradition, it’s life giving, it’s celebration, it’s therapeutic, it’s love, it’s health. Let’s not forget that. The first section ‘Fuel Up’ is designed to suit the hectic, busy days in your life where you need quick and easy recipes that will give you the fuel that you need to power through the working week, without spending hours in the kitchen. Expect portable breakfasts, fork-free-lunches, energy-boosting snacks, and batch cook dinners. This will help you cut down time in the kitchen so that you can spend your evenings unwinding after work and resting for the day ahead. The second section ‘Power down’ of the book is designed for the weekends, days off, and holidays when you have a little more time to enjoy and rediscover a love of food. I want you to not only be conscious of the type of food that you eat, but how you cook and prepare it, how you eat it, and who you share it with. Here you will find lazy brunches, comforting family dinners, traditional breads, celebratory cakes and tea-time treats. My everyday shopping list and store cupboard staples – 5 of which I’ve selected as my ‘heroes’ and have given you 10 different recipe ideas for each of them. A key for special dietary requirements including vegetarian, vegan, gluten-free, low sugar, low salt, the fibre content, and meals under 30 minutes. ‘Meal prep hacks’ and tips on how to maintain a healthy lifestyle when you’re busy. No recipe recipes for quick snacks when you simply do not have the time to cook or bake. Nutritional advice including the basics of nutrition, how to meet your 5 a day, lunchbox tips for kids, and special nutritional requirements for vegan and vegetarians. 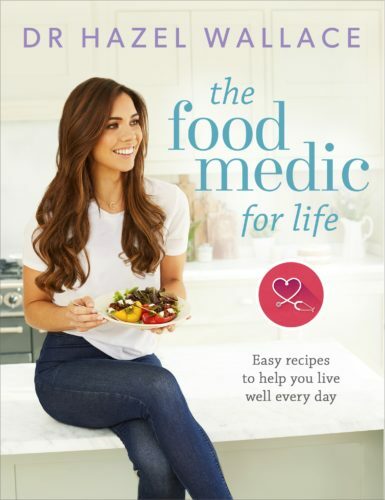 Medical and nutritional hacks throughout the book with explanations of common lifestyle related conditions, such as type 2 diabetes and irritable bowel disease, and practical tips and tricks on how to stay healthy and get the most from your diet. Common nutritional myths busted – “Is red meat bad for me?” , “Is dark chocolate healthy?”, “Is a sweet potato healthier than a white potato?”– and replaced with evidence based advice. The importance of rest including; sleep hacks and an introduction to mindfulness and meditation. Difficult to follow, time-consuming recipes which long lists of glorified ‘superfood’ ingredients that you have to source from a niche supermarket or foreign country. A restrictive set of dietary rules, health fads or extreme diets. The cure to cancer or the answer to world peace. My interview with Right Hand PR. The BEST songs to sweat to.